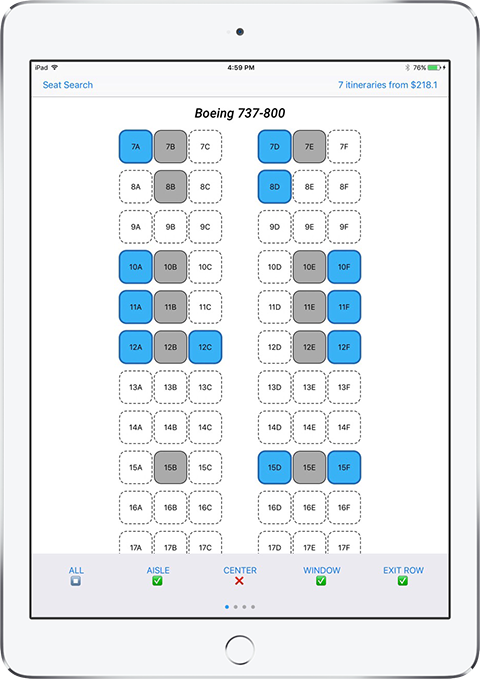 Often times people care about seat selection when booking a flight. Some travelers may prefer exit rows, and families usually want to sit together. In a typical shopping workflow, seat selection is the last step. If the desired seats are not available on the airplane, the traveler would have to go back to the beginning to choose a different flight. 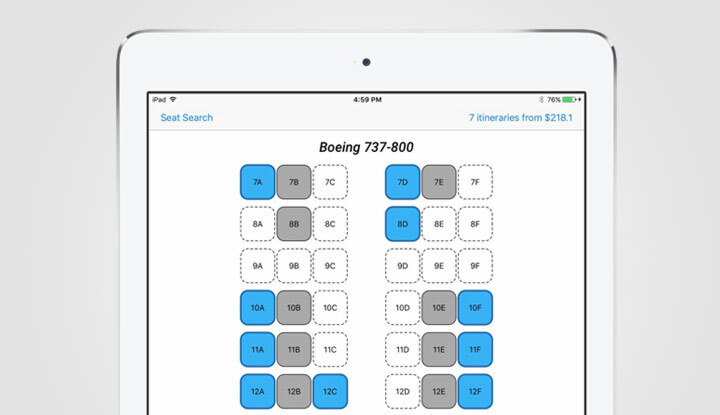 Using the new seat map cache service, we built a prototype that integrates the shopping query with seat maps. 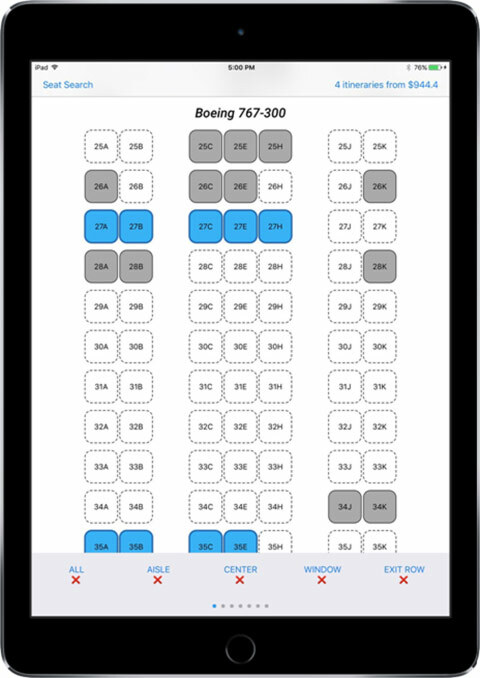 This prototype allows the traveler to specify seat types such as aisle/window/center/exit row, and helps the traveler find contiguous seats for their family members.